The Australian dollar gained today amid risk appetite caused by hopes for a successful outcome of trade negotiations between China and the United States. 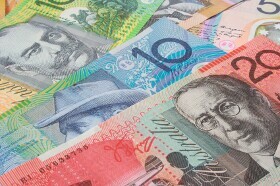 Positive domestic macroeconomic data also helped the Australian currency. The February lift takes the Index back into ‘cautiously optimistic’ territory. While that may indicate some of last month’s decline was holiday season noise, the survey detail suggests the Reserve Bank’s recent shift in tone has also played a part. AUD/USD gained from 0.7094 to 0.7111 by 16:55 GMT today, though retreated from its daily high of 0.7136. EUR/AUD dropped from 1.5958 to 1.5872.